01/30/17 – Five tips for your coaching bag. One day it is 13° and windy, the next day its 65° and sunny. 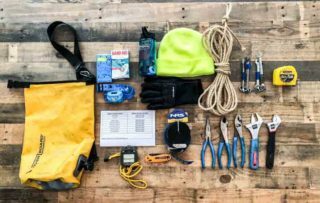 Hopefully you read our post on 1/23/2018 that included a check list to get your boats and oars ready. But what about the coach gear? Gloves, wrenches, stopwatch, tape measure, every coach has a different tool bag and/or launch bag to fit their specific needs. Here are 5 of our favorite essentials to add to yours! Waterproof bag. If you have not checked out OverBoard Bags [www.over-board.com], you need to. These bags are GREAT to keep your gear dry. While they aren’t necessarily cheap, they are a fantastic investment. Head Lamp. This is probably the most used tool in my bag. It was a daily necessity. If coach in the morning or eventing and you don’t have one, get one! They are great to keep the hands free. Contact List. Yes, I know that 99% of the phone numbers we need are in our phones, but this old school hack can make life easy. God forbid you find you or your crew in a situation where you need immediate help, this contact list can come in handy. Mine was laminated and taped to the seat of my launch. Hi-viz hat. Knit or baseball hat, it really doesn’t matter. This might sound silly, but if you row on a busy stretch of water, or at dawn/dusk, this is something a little extra that allows other coaches and crews to see you. Extra straps or rope. It just always comes in handy. 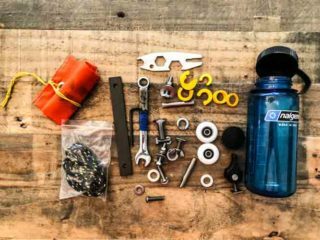 Get a parts bottle. The small sized Nalgene bottles work perfectly. I had one for each boat that was on the water. This limits the potential issues that each boat could have. Each bottle had a little of everything and was appropriate to the boat it was intended for. 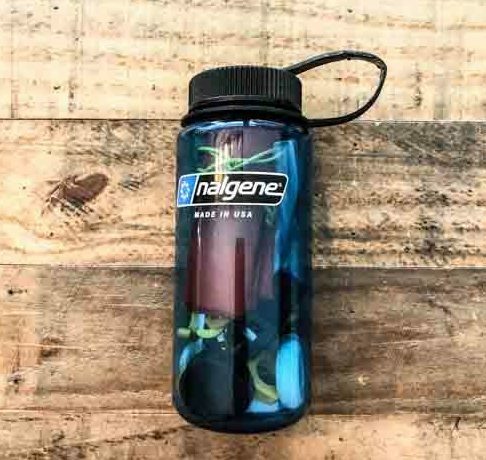 Washers, screws, footboard bolts, an allan key, spare wheels, you name it, and the Nalgene had it contained perfectly. Ask around. Every coach has their own tip and trick to get ready for being on the water. 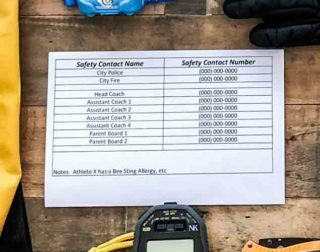 These tips are a combination of a number of years of riding in launches with coaches all over the country, as well as some of my own personal experience. Have another tip I should have included? Send me a note at cj@finishlinerowing.com and we will be sure to share it!